Want a fire pit you can easily transport to the campsite? Want to also use it as a BBQ? The Outwell Cazal Fire Pit could be the answer. It can be hard to find a good fire pit that doesn’t take up a lot of space to transport. You can often put things inside the fire bowl when transporting (as long as everything is wrapped up not to get mucky), but then the legs get in the way. Yes, you can unscrew and reattach the legs on most fire bowls, but that takes time…and have you ever tried to find a screw you dropped in long grass at a campsite? The Cazal fire pit from Outwell solves that problem with its legs that fold away. When you first open the box of the Cazal Fire Pit, there is some assembly required. You simply have to screw the legs onto the fire pit’s body. It’s best doing this at home first to avoid losing the screws in the grass at the campsite. Once this is done, you don’t need to do any assembly when putting it up or packing it away at the campsite. The legs fold flush against the body. To put them up, you simply pull a ring and set the legs in the standing position. The fire bowl is a good size that will enable you to have a small campfire off the ground. 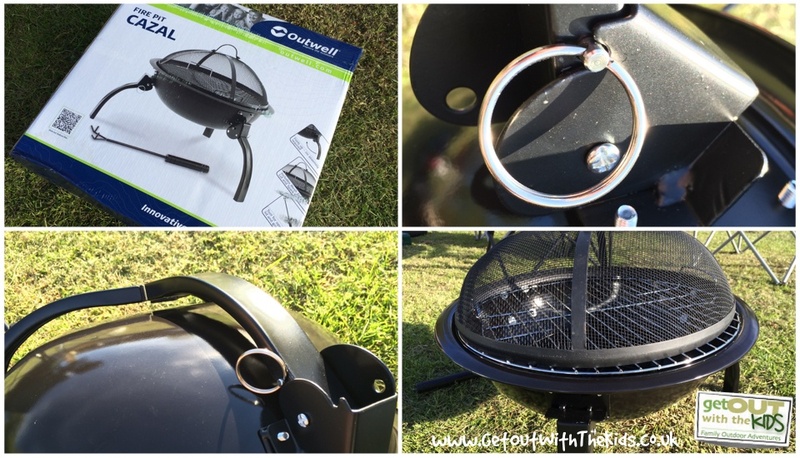 You can also use the Outwell Cazal Fire Bit as a BBQ, so it’s still useful on campsites that allow BBQs but not campfires. 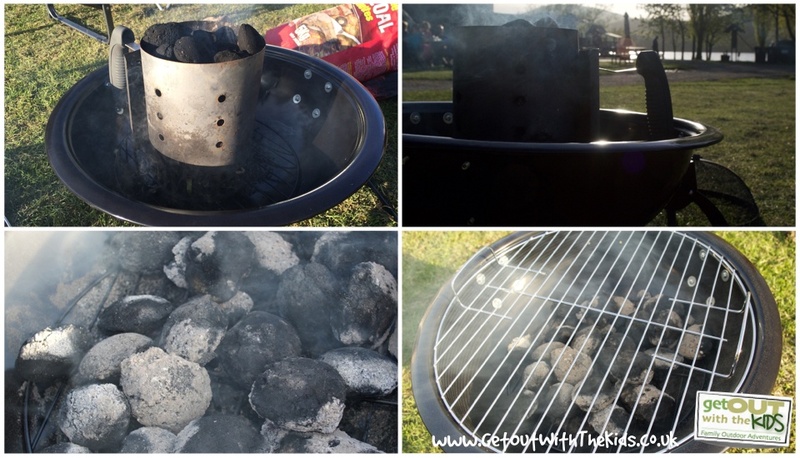 It has a small grill that goes inside the fire bowl that you place your coals (or wood if having a campfire). There’s a large grill for cooking on. This grill has a couple of handles to make it easy to lift out. A thoughtful design touch. The Outwell Cazal fire pit comes with a guard as well. This helps protect your tent from getting small holes from campfire sparks that may fly up into the air if there’s a breeze. 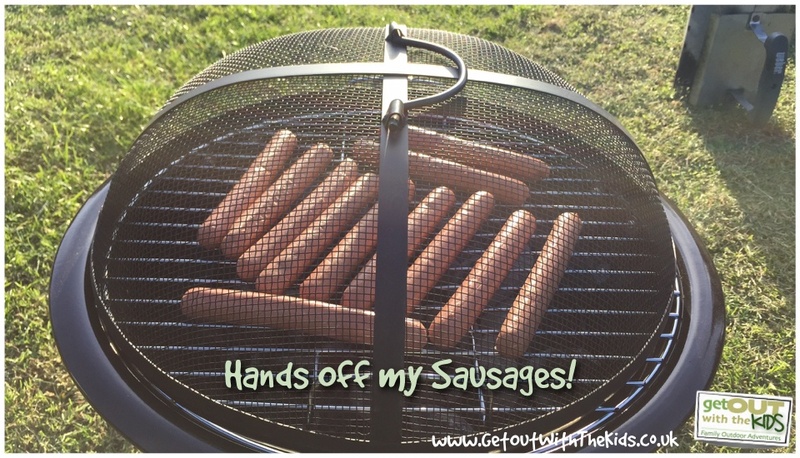 It’s also useful for keeping small fingers away from the hot coals or pinching the cooking food! The Outwell Cazal Fire Pit has proved a good bit of kit. 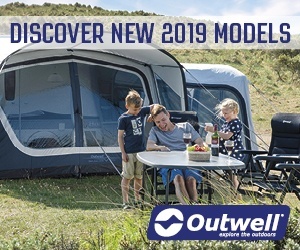 Apart from the legs being perhaps a little short, we’ve had no issues with it on camping trips.  It gets the thumbs up from us as another good bit of kit for family camping. After years of use, I’m pleased to report that the Outwell Cazal Fire Pit is still working despite a lot of use. This has proved to be a great bit of kit. Check out our adaption of the Cazal Fire Pit with foil to turn it into a DIY Pizza Oven. 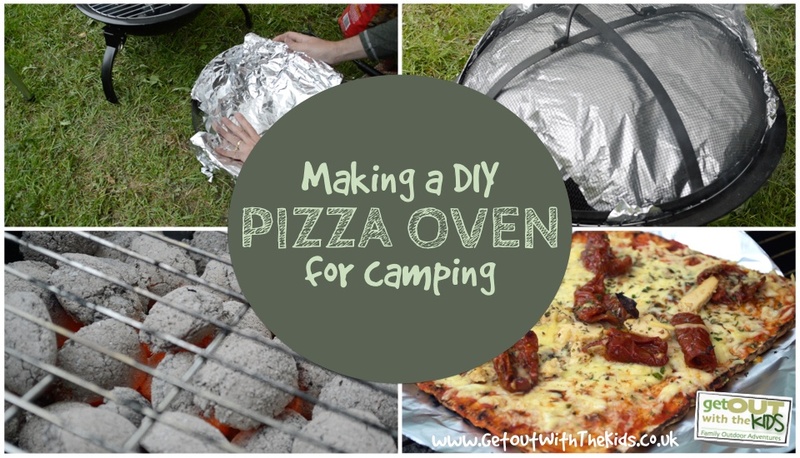 Making a DIY Pizza oven when camping using the Outwell Cazal Fire Pit. Disclaimer: Thanks to Outwell for sending us the Cazal Firepit to review. All opinions are our own. Foldable legs for easier transport. Can be used as a fire pit or BBQ. Griddle has handles to easily remove. Spark lid to prevent unwanted accidents. Tool for removing the hot lid. Wish legs were longer so it is further from the ground.